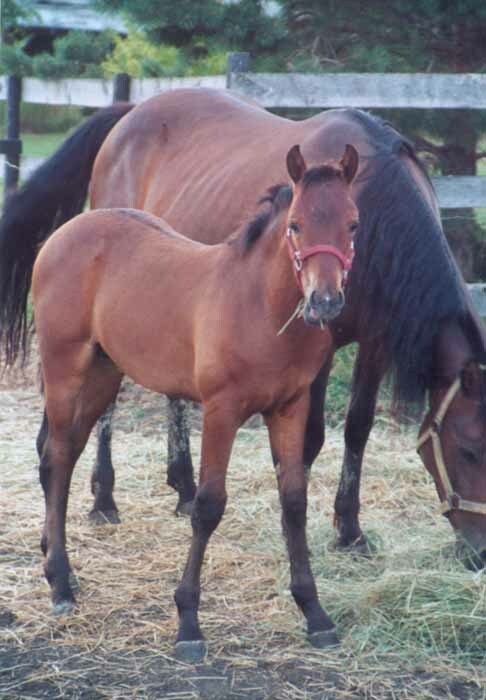 Gorgeous, up-headed, fancy bay colt. This lovely young man knows he is something special and he just exudes his arrogance. 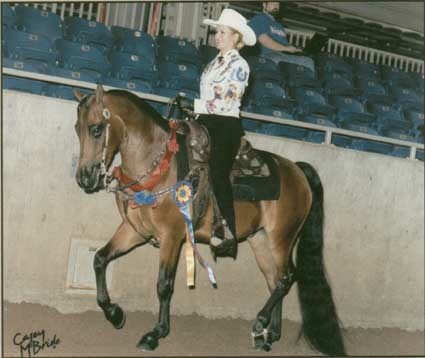 Dancer has wonderful conformation with great hocks and athletic ability. Boy, can he trot when he wants to! There is great depth of bone and body on this youngster who should mature well over 15 hands. He has a friendly, willing, intelligent disposition and is quick to learn and easy to train. At 3 months, he ties, leads, poses. He stands to be fly sprayed, clipped, & groomed. He is very sane and level headed. Check out his pedigree! 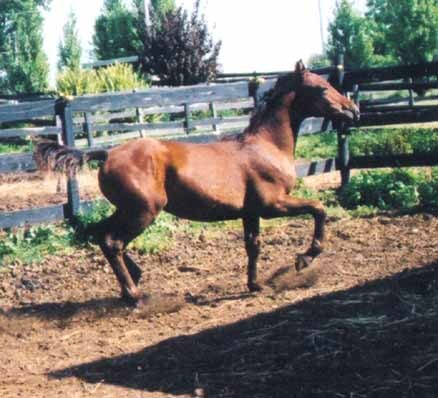 What a future he could have as a spectacular breeding horse, show horse, or even as someone's beloved best friend. Dancer (shown at 2 months) and his paternal brother Calyspo, demonstrate brotherly love.